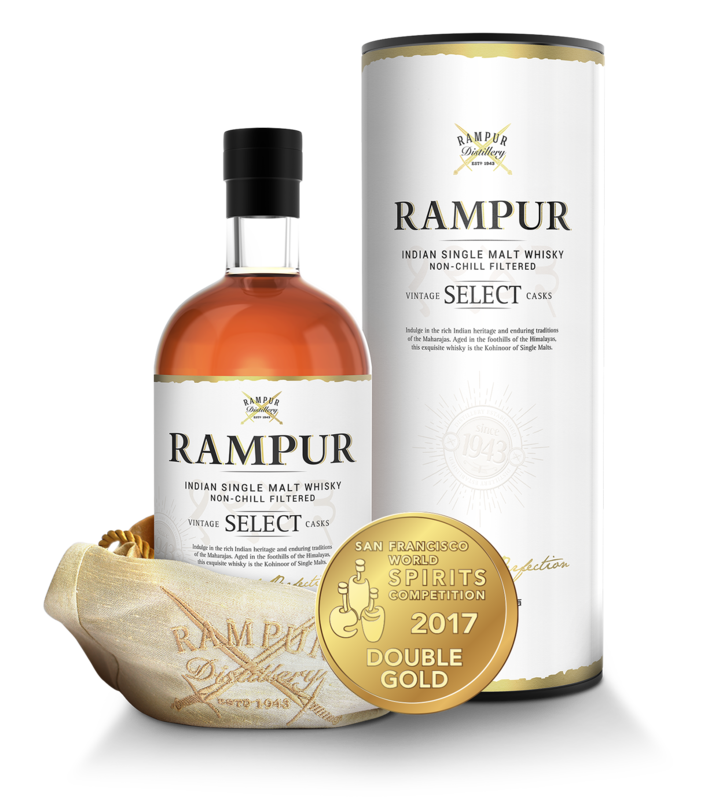 The Genesis – Rampur Select Indian Single Malt Whisky Non-Chill Filtered. Indulge in the rich Indian heritage and enduring traditions of the Maharajas. 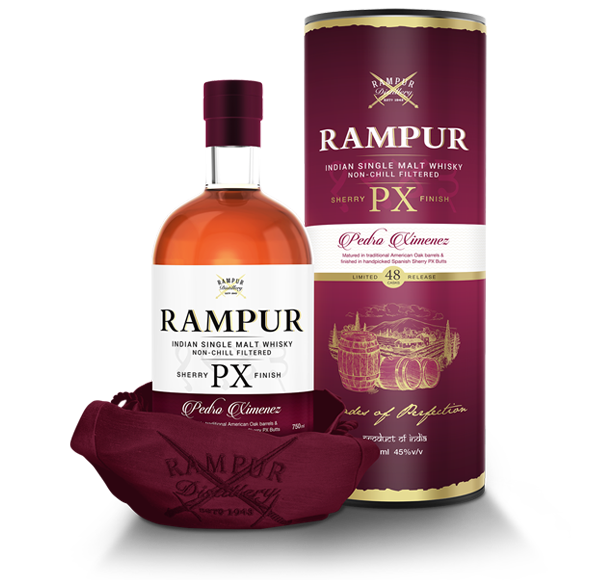 Aged in the foothills of Himalayas, this exquisite whisky is the Kohinoor of Single Malts. 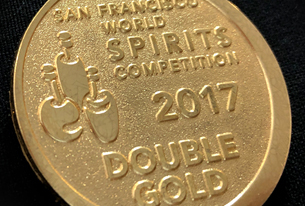 This beautiful nectar is a winner of many international awards including the Double Gold Medal San Francisco, USA. Rich fruity top note, toffee in the background, floral, honey, dried fruits and a hint of spice. All round balanced taste with malty & creamy vanilla. Hint of fruits like apricot & apple with sweet & winey taste. 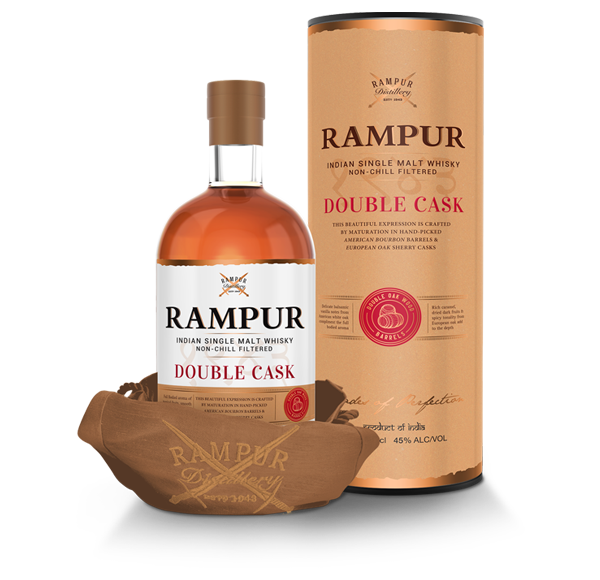 Rampur Single Malt shines in all its glory in beautiful golden amber, leaving your taste buds with a Rich and Long finish.